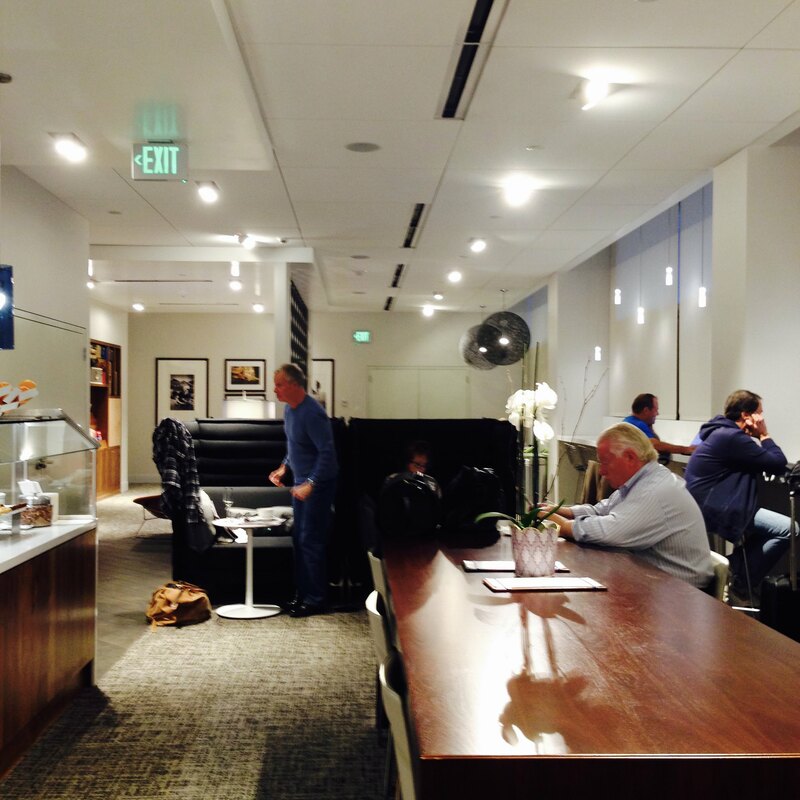 Amex recently upgraded this from a studio to a lounge. Maybe it should be a lounge-let. They expanded it by about 10 small tables, and added a bar. The bar area now features tarmac views. The food is still the same. The only improvement (if you drink) is the bar, which features a lot more cocktails, and of course, a bartender. The AMEX Centurion Studio is located in Concourse B of the Seatac Airport. 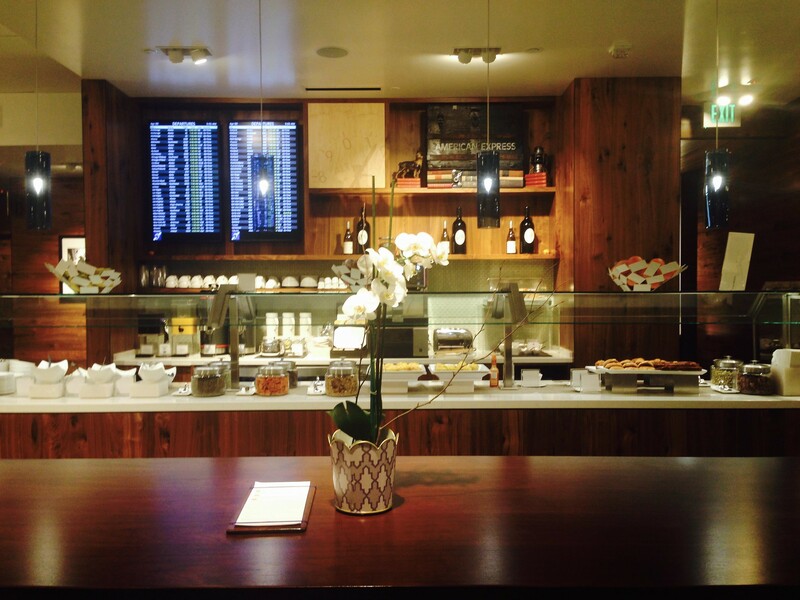 Open 5 am to 10 pm, its size is comparable to the Alaska Airlines Boardroom in the N Terminal. We visited it for breakfast twice. 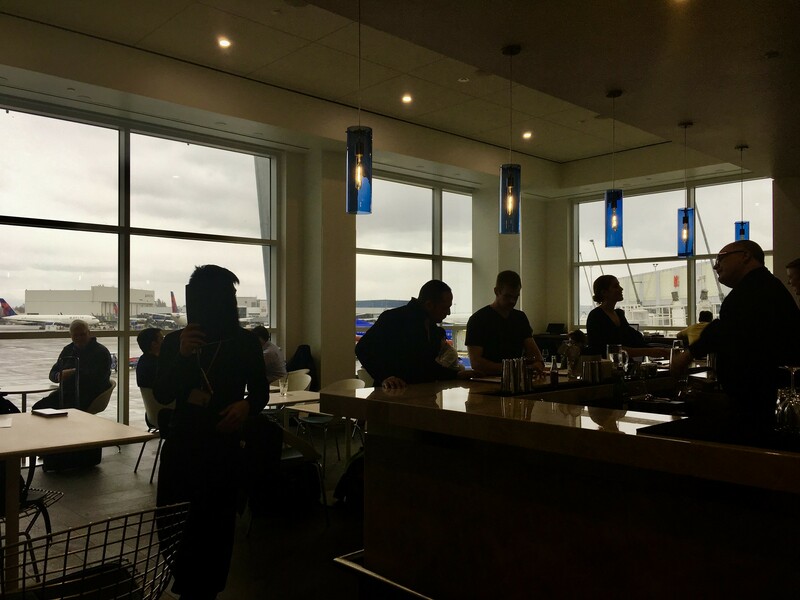 Based on the breakfast selection, I’d probably choose the AMEX Centurion Studio over the Alaska Airlines Boardroom, because their selection of food is somewhat fresher. 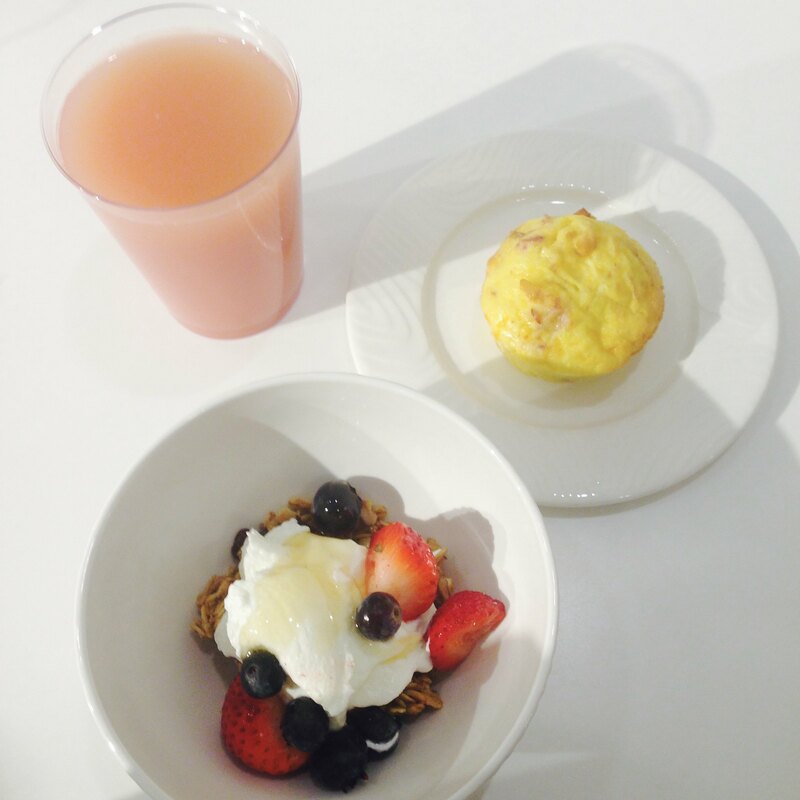 For breakfast, they serve the usual suspects – yoghurt, granola, fruit, cereal, bagels, pastries. They also stock stratas, one vegetarian option, and one bacon strata. They are both delicious. They also have fresh orange and cranberry juice, while the Alaska Airlines Boardroom serves these in the form of Minute Maid fountain drinks. In their self-serve fridge, they also have regular sodas, and local specialty soda – Jones Soda. They have some beers, and local wines available as well. They only have two bathrooms. Overall, while it is on the small side (hence, potential for crowding), the fresher food is a winner for me.